"Android Studio Application Development" is a practical guide that will show you how to develop and build Android apps using this new, integrated development environment. Following a tutorial approach, this book will progress from the basics features up until the steps to build for release, using real world examples. 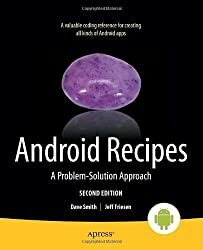 This book is a must have for every Android app developer evangelist. Our book explores the Android Studio development environment in-depth, taking you through the necessary steps to create an app, test it, and prepare it for release. First, you will learn how to use the code editor in order to increase your productivity, and to easily create the screens of your app. Then, this book will show you how to debug your app and examine its performance using the most important additional tools within Android Studio: Android SDK tools. We will also take a look at the existing Google Play Services and how they can be integrated into your app. Belén Cruz Zapata received her Engineering degree in Computer Science from the University of Murcia in Spain, specializing in software technologies, and intelligent and knowledge technologies. She earned an M.Sc. in Computer Science and is now working on her Ph.D. in the Software Engineering Research Group from the University of Murcia. Belén is based in Spain, although in the field of her Ph.D., she is now collaborating with the Université Mohammed V-Soussi, in Rabat, as a beneficiary of the Erasmus Mundus programme. Her research is focused on the mobile world and cloud computing. Belén has a special interest in the development of mobile applications and new technologies. In the last few years, she has worked as a mobile developer for several platforms such as Android and iOS. To follow her projects, visit her blog at http://www.belencruz.com and you can follow her on Twitter @belen_cz.